The Ministry of Foreign Affairs of Ukraine condemns the actions of the Russian Federation, which conscripts the inhabitants of the occupied territory. 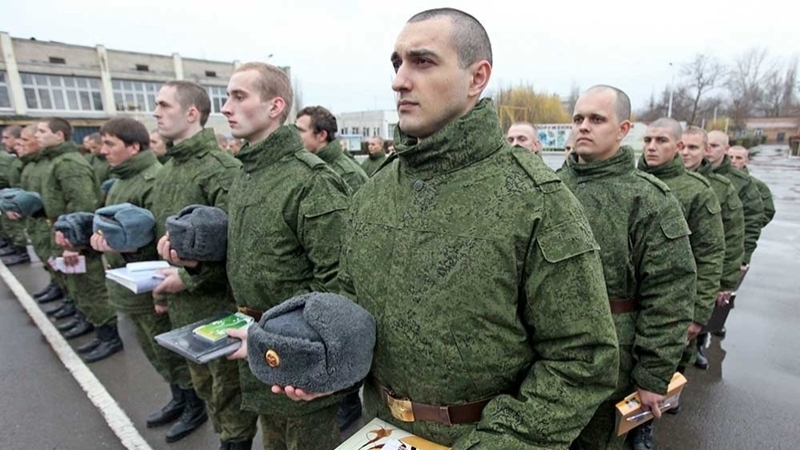 More than 1.7 thousand Crimean conscripts arrived in the military units of the Armed Forces of Russia for military service, the propaganda news agency Kryminform reported with the reference to the press service of the Southern Military District of the Russian Federation. The invaders claim that the military commissariats of the Southern Military District, located on the territory of the annexed Crimea, "took the leading position in the draft campaign" Spring-2017 ", having already fulfilled the call-up plan by more than 80%." Earlier, QHA reported that on May 25, a group of recruits "Spring-2017" from annexed Crimea for the first time were sent to serve outside the peninsula. The Ministry of Foreign Affairs of Ukraine expressed its strong protest to the Russian Federation in connection with its intention to call for military service residents of the temporarily occupied Ukrainian territory of Crimea and Sevastopol.